A sophomore album project for ex-Dawn of the Replicants frontman Paul Vickers and former Khaya/Desc buddies Dan Mutch, Pete Harvey and Alun Thomas; the latter part of the Leg alumni also a former ballboy and St Jude’s Infirmary stalwart. 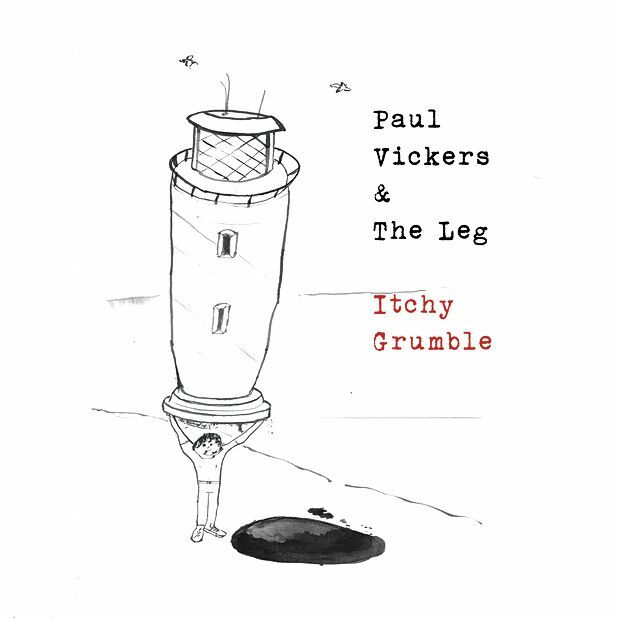 Hot on the proverbial heels of their majestic debut, Tropical Favourites, comes the leftfield neo-rock opera, Itchy Grumble, the pseudonymous tale of an immortal anti-hero who is compelled to revolve a lighthouse on the Firth of Forth. Although clocking in at only 30 minutes, the theatrical set fuses two-parts Beefheart/Waits, one-part Birthday Party on creepy stunners such as ‘A Horse Hoof In The Soup’, ‘The Tears Of A Witch’ and the devilish title track. TV producers – get bidding.